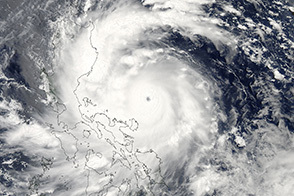 Super Typhoon Utor made landfall as a Category 3 storm over the northern Philippines in the early morning hours of August 12, 2013. It was the strongest storm to hit the Philippines so far this year. 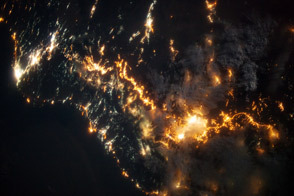 To date, one person has been reported dead, 23 were missing, and hundreds were evacuated, according to news reports. Heavy rain and landslides isolated the rural communities most affected by the storm. 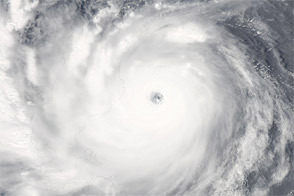 The Moderate Resolution Imaging Spectroradiometer (MODIS) on NASA’s Aqua satellite acquired this image of the typhoon about 15 hours before landfall, on the afternoon of August 11. At the time, the powerful storm had winds of 115 knots (213 kilometers per hour, or 132 miles/hr) and was rapidly strengthening. 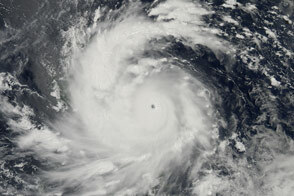 At its strongest, Utor was a Category 4 super typhoon, with estimated winds of 130 knots (240 km/hr or 150 miles/hr). Weakened by its encounter with the Philippines, Utor emerged over the South China Sea as a Category 2 storm. 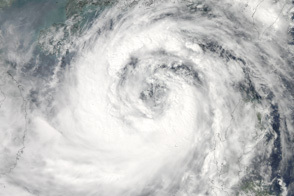 It was forecast to track northwest and come ashore over southern China on August 14. 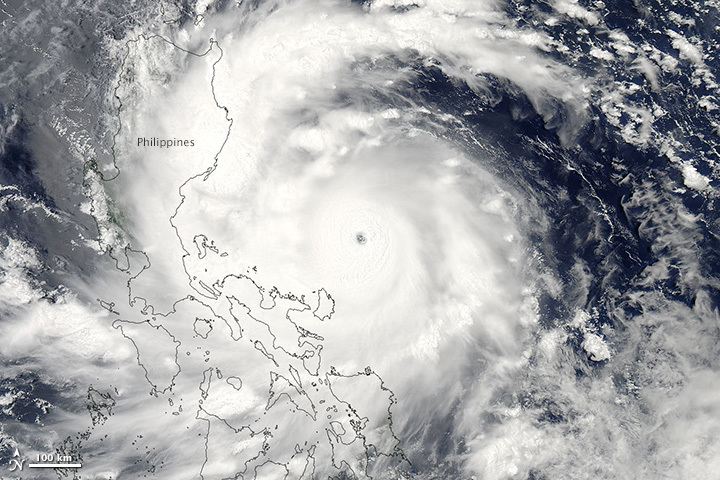 The category 3 storm swept over the Philippines on August 12, 2013. 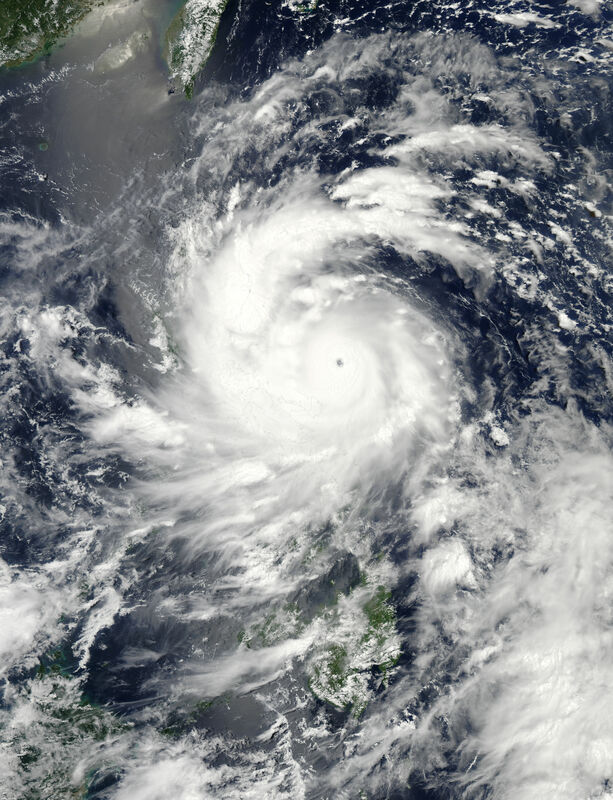 Once a powerful super typhoon, Utor struck the Philippines on August 12, 2013, and then moved west towards southern China. Joint Typhoon Warning Center (2013, August 12) Typhoon 11W (Utor) warning #16 issued at 12/1500Z. 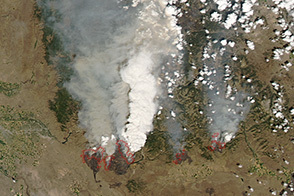 Accessed August 12, 2013. The Manila Times (2013, August 12) ‘Labuyo’ batterns Northern Luzon, isolates thousands. Accessed August 12, 2013. Unisys Weather (2013, August 12) Super Typhoon-4 Utor. Accessed August 12, 2013. United Nations Office for the Coordination of Humanitarian Affairs (2013, August 12). Philippines: Typhoon Utor (Labuyo) situation report no. 1. ReliefWeb. Accessed August 12, 2013.